The 2017 GLACUHO Annual Conference will take place November 12-14, 2017, in Indianapolis, Indiana. 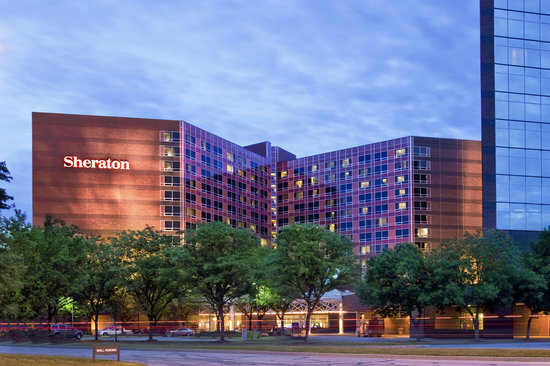 The conference venue and hotel is the Sheraton Indianapolis Hotel at Keystone Crossing. Looking for exhibitor booth registration? The group room rate for GLACUHO has expired, however reservations can still be made at the hotel's best available rate. To make a reservation, please contact the hotel at (317)846-2700 or (317)574-6744 and share that you are part of the "Great Lakes Association of College and University Housing" group. To reserve your room with the GLACUHO rate, please visit https://www.starwoodmeeting.com/Book/GreatLakesAssociation or call 1-888-627-7814 and ask to make a reservation with the group “Great Lakes Association of College and University Housing”. Complimentary self-parking is available at the hotel & conference center. Space is available for vans and oversized vehicles. Valet parking is also available for $10 for day use and $19 overnight. If you are flying, ground transportation from a private car service can be arranged by the Sheraton. Advanced booking is required and special rates are available for Sheraton guests. Please call (317)257-0793 to book. Taxi service is available to and from the Indianapolis International Airport, which is about 30 miles from the hotel. Estimated cost for a taxi is $65 each way. Electronic versions of the reports shared at the business meeting will be available to members here in early November 2017. Register by 5:00pm Eastern on Thursday, October 26. Register by 5:00pm Eastern on Thursday, November 3. No online registrations will be accepted after November 3. Register on-site when you arrive. In order to qualify for the regular registration rate, check payments must be postmarked by Thursday, October 26, 2017. Online registration closes on Thursday, November 2, and all attendees wishing to register after that date will need to register on site. Click to view our Frequently Asked Questions (FAQ) about registration or to request help. Our cancellation and refund policy is available here. Should you need any special requests for accessibility accommodations or access to a lactation room during your experience at the conference, please contact Sara Dickey (2017@glacuho.org) by October 26, 2017. Any specific requests for hotel room accessibility accommodations should be made directly to the hotel. Need a ride to the conference? Have extra space in your car for additional passengers? Looking to split the cost of hotel accommodations? Visit our Ridesharing and Roomsharing forums to get connected. GLACUHO has also partnered with RoomSync to offer a roommate matching service for attendees looking to share a hotel reservation. Click here to register. There will be five positions elected at the annual conference: President-Elect, Secretary, Treasurer, Illinois Delegate and Michigan Delegate. Information about each candidate, including their candidate statements, can be found by clicking here.